The Dodgers have quietly won their 102nd game of the 2017 season. 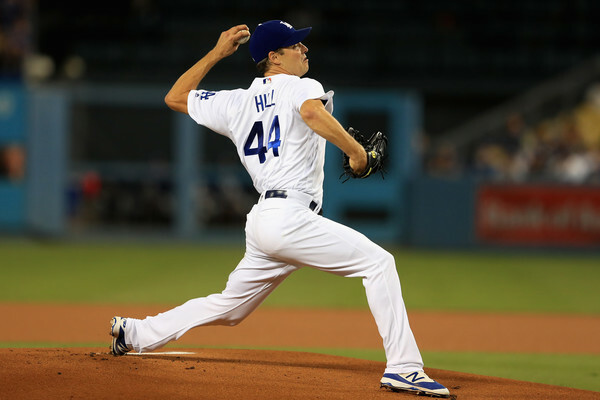 Rich Hill wasn’t going to let the fans leave without seeing him dazzle one more time. He threw seven shutout innings, striking out ten and allowing just two hits against the hapless Padres who are playing out a string, and they looked it. Corey Seager homered for the second night in a row, a nice blast to center field that made the score 10-0 and was the 22nd time on the season he’s left the yard. The Dodgers look battle ready to start the postseason. That horrible losing streak seems so long ago. Bring on Arizona.